I do try, in children's books as in life, not to judge books by their covers. But it is a fact that with picture books, you often can pick out the ones that at least could be great before you ever crack the spine—since the illustrations are so vital, and you can usually get a sense of exceptional art from the cover. The worst of these kinds of books is that once you've encountered a couple, they make you doubt your own judgment: If it's this appealing to me, you think, does that mean it's going to bore my three-year-old silly? It was with such worries that I started reading a book I had gotten very excited about—House Held Up by Trees, by Ted Kooser and illustrated by Jon Klassen—to my younger son. On the one hand, Kooser is a Pulitzer Prize–winning former U.S. poet laureate, and Klassen is responsible for one of the very, very best picture books of the last few years, the delightful best seller I Want My Hat Back. And this book certainly passed the cover test with flying colors, thanks to Klassen's evocative, leafy rendition of the titular structure on it. On the other, well, Kooser is a Pulitzer Prize–winning former U.S. poet laureate, and this is a children's picture book, and those sorts of factors do sometimes combine to create bookends. So for the moment, I can trust my cover judgment again. 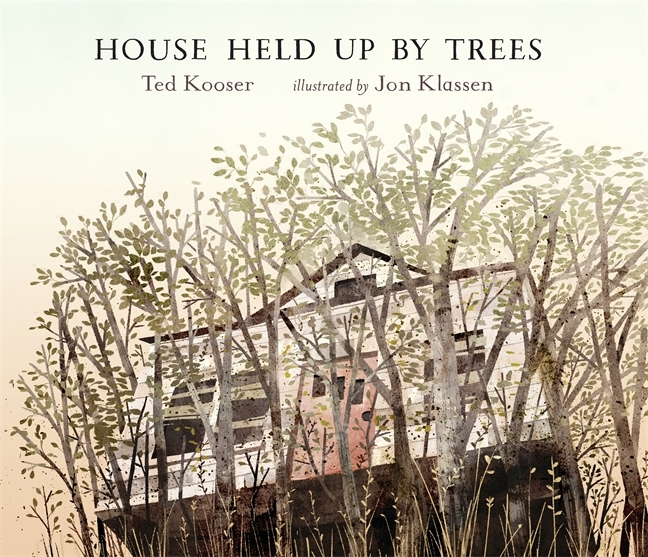 House Held Up by Trees looks, at first glance, like a special book, maybe an instant classic. And, in fact, I think that's just what it is. Spring brings many wonderful things each year, but I only recently realized that one of them is "new albums from all my family's favorite kids' musicians." Lo and behold, what do we have here but Make Believers, a brand-new release from another top-of-the-personal-charts artist, the man who made hip-hop safe for kids' music and vice versa, Secret Agent 23 Skidoo? First off, to anyone who isn't already familiar with 23 Skidoo, and is therefore sensibly skeptical that hip-hop for kids can be any good: This guy is the real deal, an Asheville, North Carolina–based hip-hop veteran who's spent the last five years or so bringing serious old-school beats and rhymes—think the late 1980s—to a pint-size audience. (As is so often the case, having a kid of his own—who's a featured rapper on every one of his albums, by the way—seems to have had something to do with that.) Yes, the subject matter is a little different than that of your average Public Enemy or KRS-One track, but the music and the flow will definitely set parental heads bouncing properly while they bring our kids to their feet. 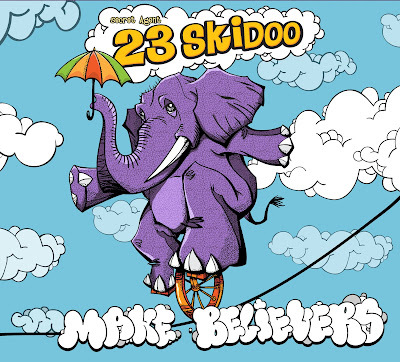 23 Skidoo is letting his music for kids grow with his family, logically enough, and so Make Believers is aimed at a slightly older audience than his previous albums were: preteens, rather than the youngest elementary school kids and preschoolers. Accordingly, there's a shift in the sound—while the album as a whole remains family-friendly, a couple of tracks, like the hard-edged "Brainstorm" and the dance-friendly "Gotta Be You," (check out the video, below!) 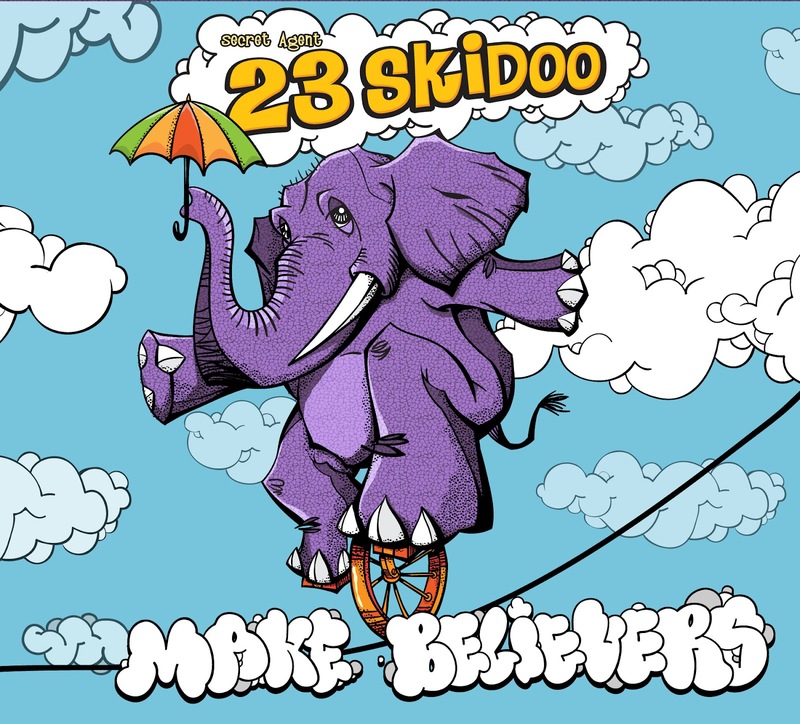 push the envelope of kids' music in satisfying ways, as 23 Skidoo has always done. There's a similar shift in the words, with an eye to the issues preteens face in school and life in general. Then of course, there are the guest artists. For 23 Skidoo, who seems to be uncommonly plugged into the entire eastern seaboard's worth of musicians, that includes both another of our family's favorite kids' artists (Molly Ledford of Lunch Money, who's guested with so many of our favorite artists already that we're half expecting her to turn up on the next Radiohead album) and some remarkable talent we weren't previously aware of (singer Kellin Watson, indie-folk cellist Ben Sollee). It's yet another story in the brick house of great music 23 Skidoo has been building over the years. And while I can't quite imagine what he's going to do when he gets to his teen album—doesn't it stop being kids' music at that point, and isn't there quite a bit of music-industry hip-hop marketed to that age group already?—I must also remember that there was a time I couldn't imagine good hip-hop for kids to begin with. And that this is the guy who changed all that. In fact, if there's one thing I've learned covering this beat, it's this: Never underestimate Secret Agent 23 Skidoo. New Music: Can You Canoe? 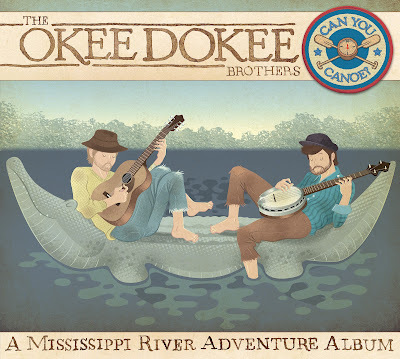 The good news first: The fourth album from the Okee Dokee Brothers, the guys who helped bring bluegrass into the modern kindie-music mix, is their best yet. Themed around a real canoe trip the two band members, Joe Mailander and Justin Lansing (who've been friends since childhood) took down the Mississippi River last summer from Minnesota to St. Louis, Can You Canoe? features snappy versions of classic American folk songs ("Haul Away Joe," "The Boatman's Dance," "King Kong Kitchie Kitchie Ki-Me-O") as well as their own original compositions, all created on the trip itself. All 15 tracks, new and old, are played masterfully, and are full of an infectious, upbeat spirit that will appeal to kids and parents alike. Now, the great news: The audio CD (as opposed to the MP3 download) comes with a supplemental DVD, featuring a 40-minute film about the Okee Dokees' canoe trip, shot on location along the entire journey. And it's spellbinding—the kind of DVD your kids make you play again immediately the moment it's over. You won't mind, either, because the film is remarkably well done, and endearing to boot. (I've embedded a preview that captures the feel of the film perfectly below.) The two friends entertainingly show kids how much fun an outdoors trip can be, offer them a rare window into the creative process of songwriting, and even provide some impromptu geography lessons. (Both our kids now have a much better idea of where in the country the Gateway Arch is located.) It's a real achievement. Combine the two, and Can You Canoe? offers kids more than an hour's worth of enjoyable entertainment that's no less fun for being, well, kinda wholesome. (It's like one of those high-fiber, low-sugar cereals your kid miraculously can't get enough of.) And the Okee Dokees are clearly having such a good time making it that it may well inspire your kids to ask for some family outdoorsy adventures of their own this summer. P.S. : If you happen to be in the Minneapolis area this weekend, you can even catch the official CD-release show—a free show, I should add—at Father Hennepin Bluffs Park tomorrow, Saturday, May 19th, at 11 a.m.
Griffin, our three-year-old, is having a little trouble with opposites; he transposes them. On a cold night, when he wants another blanket, he'll say, "I'm so hot! I need to cool down." And now that spring is here and he doesn't need so many blankets, he'll push them off, complaining that he's cold. It's not just temperature, either--high and low, up and down—you name the pair of opposites, and he consistently switches 'em. 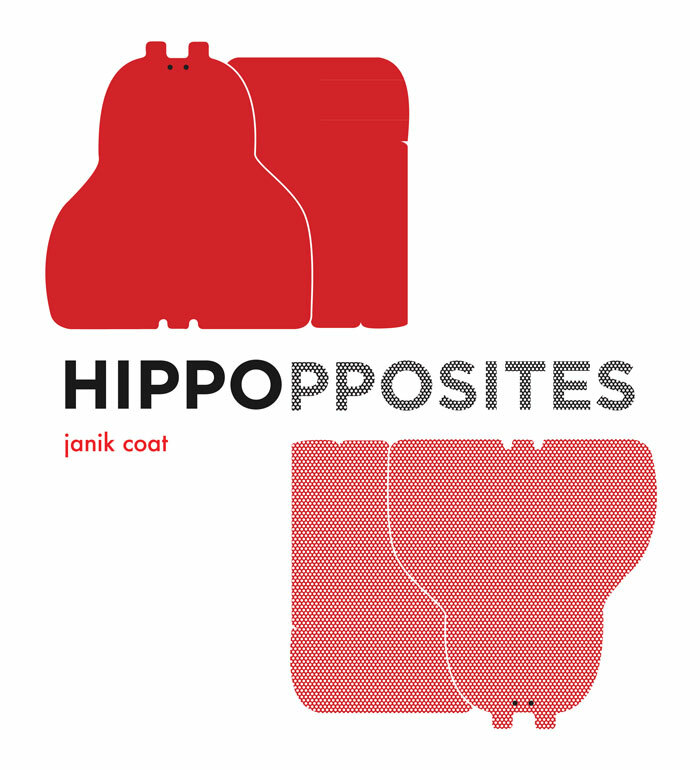 To the rescue comes Hippopposites, a new board book by Janik Coat in which an iconographic hippopotamus goes through variations illustrating opposites of all sorts, from the simple (small and large, thick and thin) to the more ambitious (opaque and transparent—for which even our seven-year-old poked his head in for an explanation). Like most themed board books, it's simple in aim and execution, but it covers a remarkably wide range of examples, even moving beyond the strictly visual to the tactile (soft and rough). The mod, colorful hippo icon makes it a quick favorite with the three-year-old set. While I don't know if it will put an end Griff's transpositions, it can't hurt, and in the meantime he's certainly having a lot of fun. It seems like a lot of icons have been leaving us lately—Levon Helm a couple of weeks ago, followed by the equally terrible news last week of Adam Yauch's death. 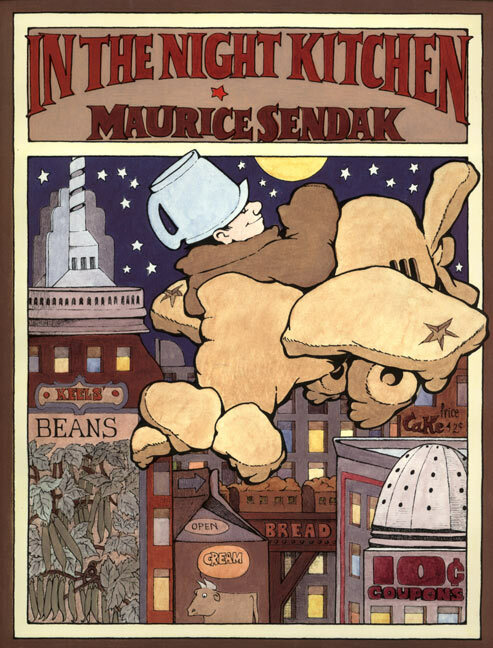 And this morning I see that now Maurice Sendak is gone. The loss of MCA is more associated with my teenage and adult memories, and my shocked feelings with the fact that he was more or less a contemporary from my hometown. But some of my earliest memories involve Helm (my dad used to play a particular Band album a lot back then) and Sendak (for somewhat more obvious reasons). So, as happens more and more as one grows older, I feel like another piece of my childhood has disappeared. But that's not quite right. Sendak (and Helm, and MCA) will always be with us, really. If I think about it, he's responsible for a couple of glorious firsts in my life already: My own first favorite book (In the Night Kitchen), and then, more recently, my first taste of that marvelous experience of reading a book I'd loved to my own child. With luck, someday his work will be part of a first moment with a grandchild someday, as well. And so my sadness at the author's passing should, really, be tempered by my gratitude at the joy he brought me and so many others when he was alive—and, even better, will keep on bringing to countless generations in the future. At the Recess Monkey show in New York last weekend (fantastic, of course), I finally had the pleasure of meeting two fellow kid-entertainment bloggers whom I've known virtually for some time but never had actually met in person: Jeff Bogle of Out with the Kids, and Stefan Shepherd of Zooglobble. And it occurs to me that, while I do have both sites linked somewhere over there on the sidebar, I have never taken the time to tell the readers of this blog: You'll get more useful information, more detail, and just way more good stuff in general on the subjects I cover at those two sites. (OTWK covers all the subjects I cover and more, while Zooglobble focuses specifically—and very, very comprehensively—on kids' music.) They are what I, in my most dreamlike moments, aspire to achieve with YKFK, pretty much always falling short. On the probably very remote chance that you don't already, you should definitely check both of 'em out. But somehow, amid all that, Jones is still also the frontman of a leading-light kindie band of his own, Dog on Fleas, whose seventh CD, Invisible Friends, just came out. It's another toe-tapping, dance-inducing pleasure all the way through its 16 tracks, from the catchy "Treehouse" and the sweet, Paul Simon–esque "Fortunate Mistake" to the reggae-tinged "Charm Them Birdies." The whole album is equally diverse in its influences, which range from late Talking Heads to Jack Johnson and Dan Zanes to both the adult and kid albums of They Might Be Giants to Deee-Lite to...is that Nino Rota? Like the prior Dog on Fleas albums, it's all upbeat and lots of fun for kids and parents alike. 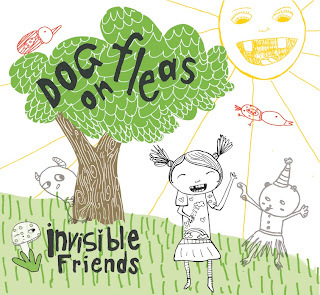 And those kids and parents from the area around lower New York state will have a few chances to see Dog on Fleas live in June—first at the official party for this very CD on June 9 in the band's hometown of Rosendale; then on June 16 at the massive Clearwater Festival in Croton-on-Hudson (hey, that's my hometown! ); and finally in what I suppose must be one of all kindie music's hometowns, Brooklyn, at Albee Square Park on June 28. 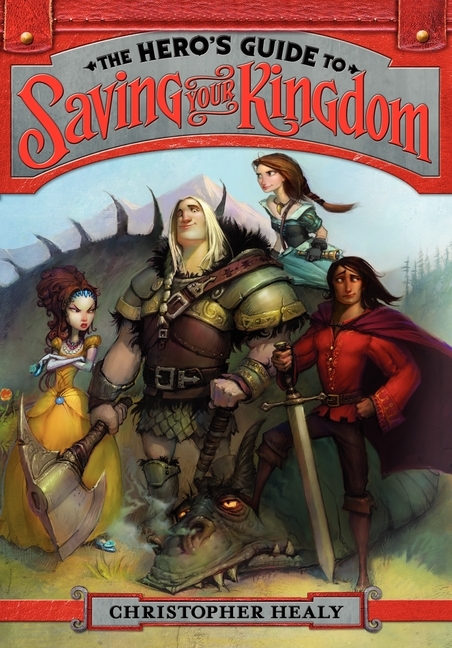 Christopher Healy's The Hero's Guide to Saving Your Kingdom—which I was unable to resist posting about several weeks ago, so enthusiastic was I about it—officially comes out today. I'd been planning to put up a quick post today with a link to my original review anyway, but then I got some great news about the book that makes the perfect peg: Fox Animation has optioned the movie rights. It'll make a wonderful film, and I can't wait to see it. In the meantime, go and get your copy now, so your family can be part of the knowing crowd that "read the book first"! You and your kids will be so glad you did.